A mega congratulations are in order for you and for me. 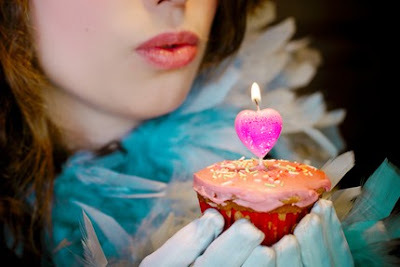 Today is Haute Whimsy's 2 year anniversary!!! I want to give thanks to everyone who stops by on their daily blog travels to take a peek at the haute and whimsical goodies that I love to share, and thank you for the wonderful friendships that I've come to cherish! Numbers are up in regards to followers, RSS subscriptions and Technorati ranking, but nothing compares to my lucky inbox which is filled with amazing comments and personal letters from so many of you! To my sponsors, thank you for teaming up with Haute Whimsy and allowing me to showcase your beautiful businesses! I have loved your work from the moment we met and I'm so proud to share my sidebar with you! *Cheers* to another fabulous year together! Wow, congrats! So awesome that you've been able to turn this into "work." You're an inspiration! Michelle, YOU were my inspiration :) I had thought about starting a blog before we reconnected, but didn't actually do it until I saw yours and was head over heels inspired! You, and www.michellewoo.com, are amazing! Thanks, Katie! I love all of your comments :) You are such a great part of Haute Whimsy!